The interior designer Fran Hickman stands in the restaurant of the newly opened Chess Club in London. The walls of butterflies are inspired by a trip she took last summer to the Turin apartment of the late Italian architect and artist Carlo Mollino. 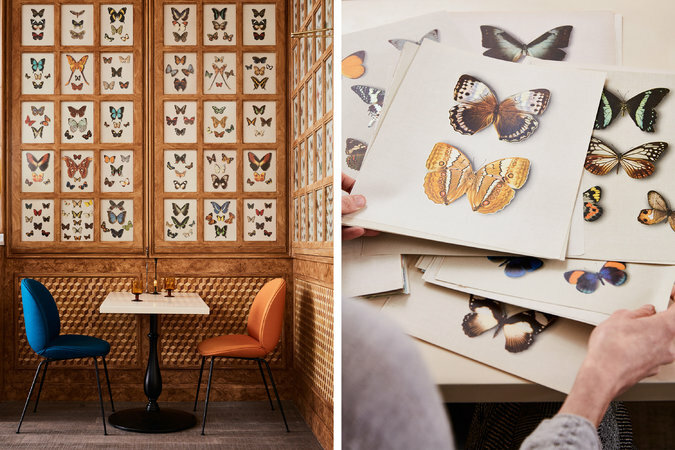 There are now 257 butterfly bookplates adorning the restaurant walls of Chess Club in London — a distinctive new addition to Mayfair’s private member’s scene — and every single one can be traced back to a pilgrimage taken by the interior decorator Fran Hickman. Inside the Turin apartment of the late Italian architect and designer Carlo Mollino. Hickman used images from the book “Joyaux Ailes, Un atlas des plus beaux papillons du mode” (right) for the walls. “I wasn’t too precious about the placing — I just didn’t want it to look too uniform,” she says. Nowhere does this ring truer than in Mollino’s bedroom, a bijoux shrine inspired by the symbolism of ancient Egyptian tombs — an intensely opulent room dreamt up as his place of passage into the afterlife. (Though he actually died in his studio, in 1973, from a heart attack.) 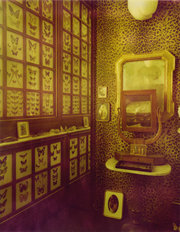 There’s a nautical 19th-century bed on an aqueous blue carpet, and eye-catching leopard print walls, but it was the room’s 316 butterflies, potent symbols of Egyptian funeral rites, that left a lasting impression on Hickman. “They were incredibly arresting,” she says. The custodian of Casa Mollino shared with Hickman the source of these bewitching butterflies — the 1950s photography book, “Joyaux Ailes, un atlas des plus beaux papillons du mode,” from which the plates were torn out and framed for the room. 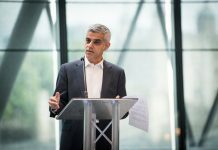 “I ordered six copies from AbeBooks as soon as I got back to London,” explains Hickman. At the time, she was in the throes of planning the interior scheme for Chess Club, a Regency townhouse with a long history as a private members’ haunt (Ringo Starr had his wedding reception there in the 1980s) that had lain derelict for years. 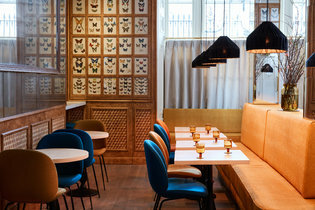 “You should feel like you’ve just turned the key on a well-preserved private members’ club from the 1970s,” Hickman says of Chess Club, where she filled the 52-seat restaurant with butterfly prints. “The way the butterflies have been printed has a depth and shimmer that gives them a really lively quality. The color is extraordinary,” Hickman says. “I love how they pick up the light, particularly in the evening when the space is candle-lit.” The jeweled notes of these winged motifs formed the sartorial starting point for Hickman. 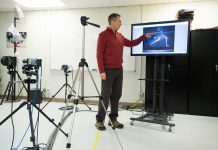 “Using art in a space like this is quite difficult. Often it’s the thing I come to last, but it has really set the tone here — everything else has fed off the butterflies,” she says, gesturing to the burnt orange and blue dining chairs, and sunshine yellow Kvadrat textile banquettes. They set the scene for the menu created by chef Jackson Boxer, who sources much of his seasonal fare from his family farm in West Sussex. The naturalistic note continues upstairs, where the bespoke textile and wallpaper artist Anna Glover has created a painterly series of silk screens conjuring a nocturnal Garden of Eden that’s strewn with serpents — and of course, butterflies. 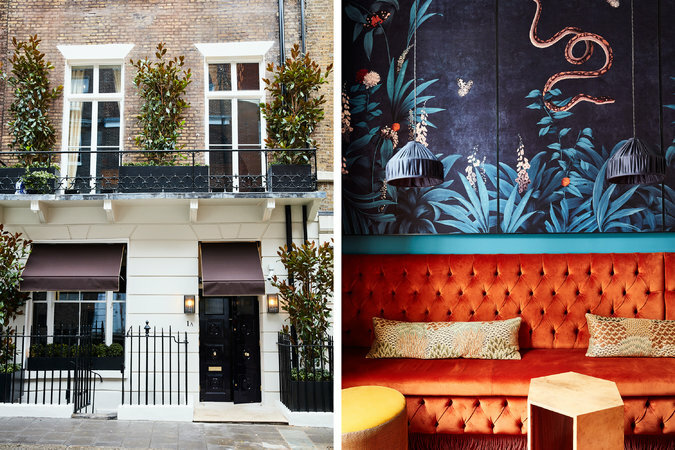 From left: Magnolia trees line the balconies at the newly opened Chess Club in London’s Mayfair; the butterfly motif continues upstairs in the bar, where the bespoke wallpaper and textile artist Anna Glover has created a series of decadent silkscreen panels.